My girlfriend had a baby boy in April. 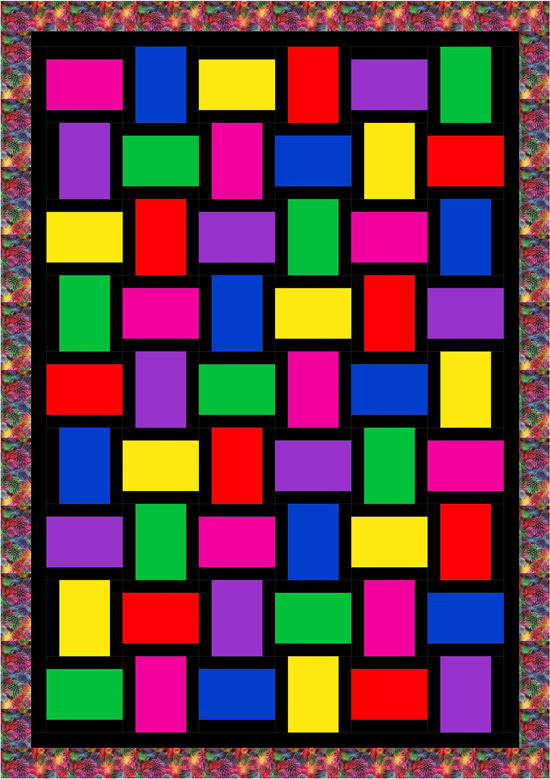 Here’s the quilt I’ll be making for him this weekend. The one-year rule applies to new babies too, right? The quilt will finish at 36″x51″. The block is super simple, finishing at 5″ square. The black strips are 1″x5″, the coloured centre pieces are 3″x5″. If you are making this yourself, add 1/2″ to each measurement for seam allowance for your cut pieces. I’ll be strip-piecing the yardage, then cutting the blocks at 5.5″ as one unit. I’m really glad I took the time to draft the quilt out in EQ7 with the focus fabric. I was originally going to use it for the blocks too, but hated it once I saw it. 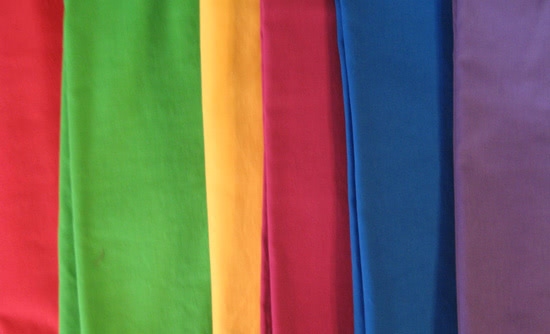 Off to cut some fabrics and start stitching. The first I’ve done in a month.. hope I remember how! This will be stunning, Michele!!! 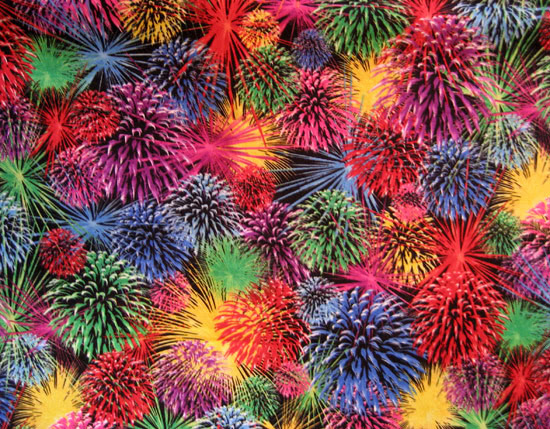 Love the fireworks fabric. Can’t wait to see it finished. I recently had a book passed to me called “Hearts and Hands, The Influence of Women & Quilts on American Society.” Have you read this one? I’m really enjoying it. OMG! i love those fireworks! What a great pattern Michele! 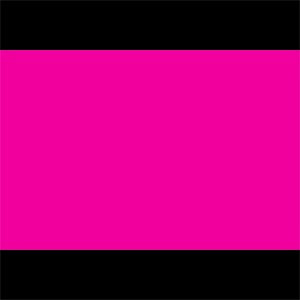 I agree that the black is much better as a background. Don’t you just love EQ! Might have to put this one on my list. Thanks for sharing. This is so cute. I love my EQ6, haven’t gotten 7 yet, but it is so nice to be able to play around with colors and settings. Be sure to post pics of the finished quilt. That is going to be a stunning quilt! Can’t wait to see it finished. I think the one year rule definitely applies. I didn’t finish the baby quilt for my own baby till she was 5 months old!! Good luck friend!! I hope the baby enjoys lying on this quilt.